Wednesday, Dec. 3 — 9:30-11 a.m.
Friday, Dec. 5 — 1:30-3 p.m.
Update: This event will be rescheduled due to the university’s closure Feb. 5 during the winter storm. Demand for academic video is growing rapidly across the Kansas State University campus. To accommodate this need, Information Technology Services has examined several video-capture systems. 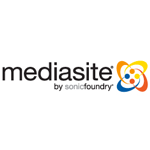 During the discovery period, one product clearly stood out above the rest, Mediasite by Sonic Foundry.